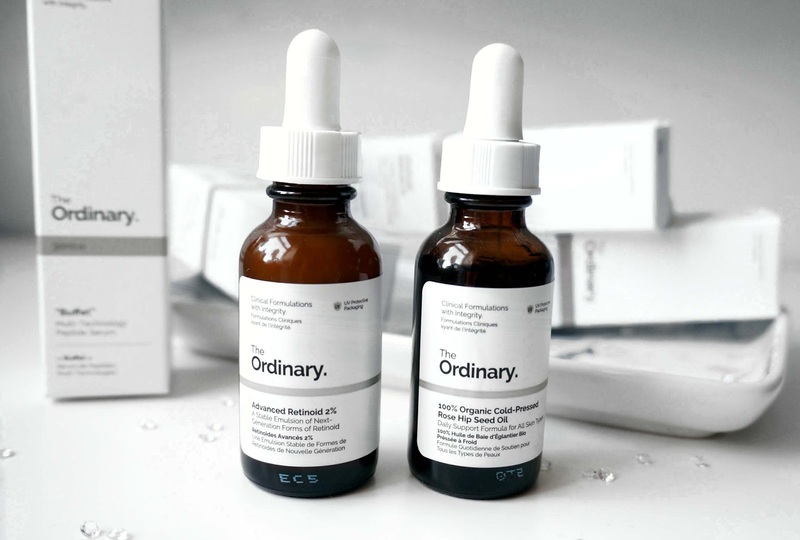 I know that everyone is talking about this brand left, right and centre and I was sceptical about putting this up but who doesn't want affordable skin care?, I have used these well over a month now ( I received them on the 18th February) and this is how I've got on with them so far. 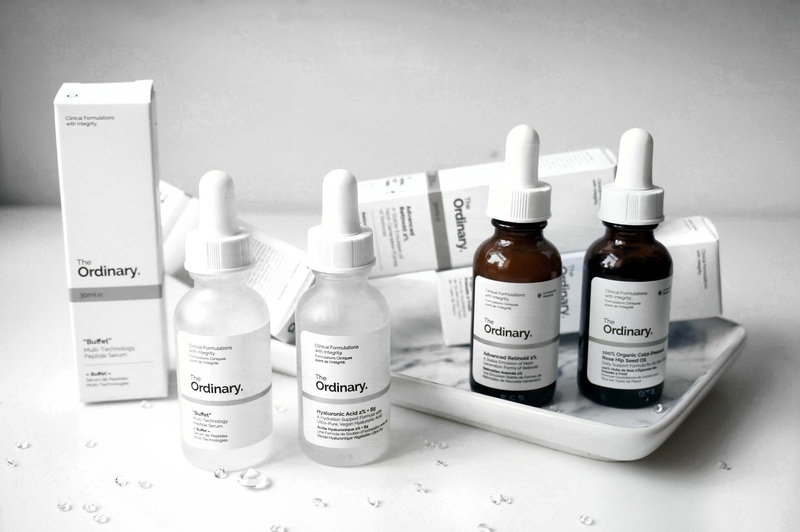 The Ordinary is a brand from Deciem curating affordable skincare slashing all the retail costs giving us they main thing we are after, the product. 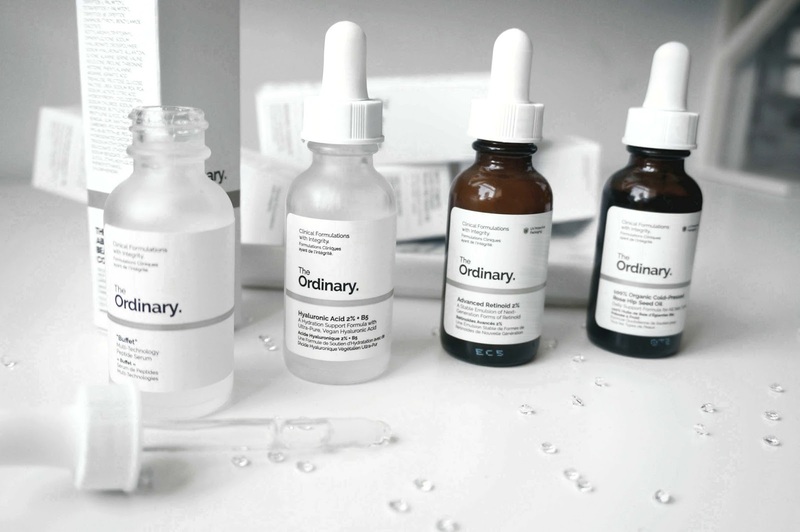 Their skincare is simply marketed with a pipette applicator and glass bottle, which satisfies us, minimalists. After seeing their products on Instagram, I decided to do my own digging and the found their skincare regime guide that they have and went ahead and purchased 4 items. I did find it overwhelming since I had no idea what some of the products meant except the term 'hyaluronic acid' but I definitely wanted something for anti-aging since I have some lines showing on my forehead, I picked up: Buffet, Hyaluronic Acid 2% +B5, Advanced Retinoid 2% and 100% Organic Cold-Pressed Rose Hip Seed Oil. The products that I have picked out are all 30ml and a 12-month expiry date. Buffet. 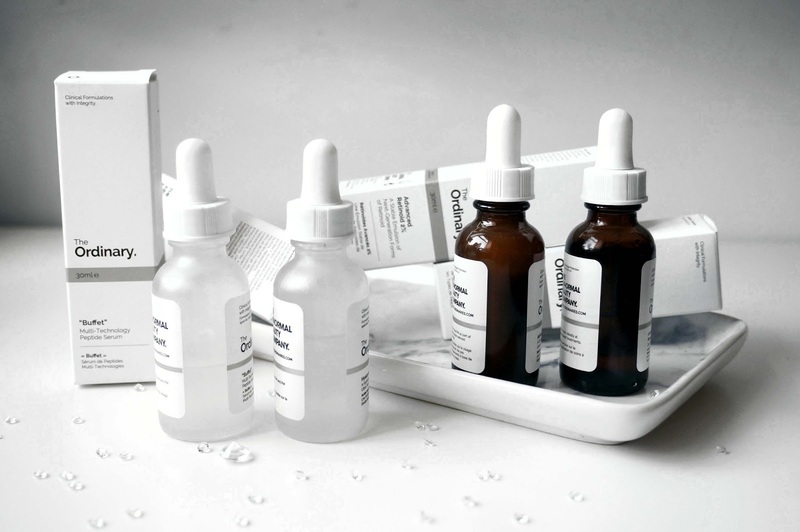 This is a multi-technology peptide serum which combats multiple signs of ageing. I apply this in the morning and night after my toner, this has no scent and has a thick gloopy texture. I use about 3 drops and it sinks into the skin immediately. I found that it has a slightly sticky feeling but once you work it into your skin I instantly feel my skin becomes more hydrated and smooth. I've had no sensitivity on my skin using this and it works wonders in restoring hydration after cleansing your face. This is the most expensive from their range and when I say it's expensive it's only £12.70/£13. I usually spend at least £20 on serums alone so the costs are already visible. This is also suitable for vegans, is cruelty-free, silicone free, nut-free and alcohol-free. I've already used over half of the product and I predict it will last me 3-4 months altogether. Hyaluronic Acid 2% +B5. 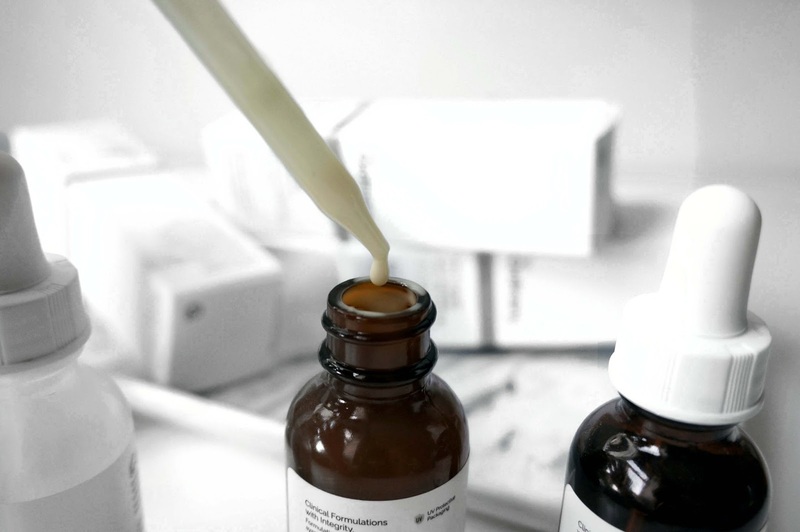 This is another serum containing hyaluronic acid which we all know helps hydrate our skin, combined with B5 to moisturise, soothe and heal irritated and problematic skin. This has the same gloopy texture as 'Buffet' and also no scent. It has a slightly tacky feeling which goes away once you massage it into your skin and I also use this day and night. I tailor my skincare to what my skin needs so sometimes I skip this if I were to put on a sleeping mask. This makes all the difference in my skin which truly helps moisturise, plump and restore. This retails for £6 and is also suitable for vegans, is cruelty-free, silicone free, nut-free and alcohol-free. Advanced Retinoid 2%. This is another serum which helps reduce signs of ageing and texture. 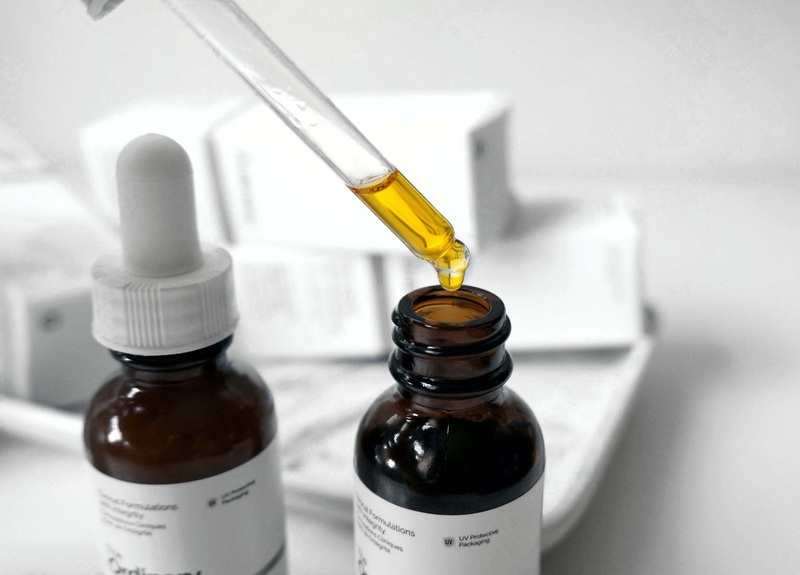 Retinoid is a form of Vitamin A and helps boosts production of collagen which is the elasticity of our skin, it also keeps our wrinkles at bay and improves cell turnover. This has a yellow colouring and a runnier liquid formula. This stinks and I'm not exaggerating it smells like sick but the scent wears off once you apply this onto your skin. I found that you need to work fast with this as it dries quickly and I apply this mainly on my forehead, a bit around my eyes and smile lines. This has kept my forehead wrinkles at bay and made my skin firmer. I can ignore the scent of this since I have seen the improvements in my skin. For £8 a pop this has worked wonders! This is also suitable for vegans, is cruelty-free, silicone free, nut-free, alcohol-free, gluten-free, soy-free and stored in a UV protected bottle. 100% Organic Cold-Pressed Rose Hip Seed Oil. This smells absolutely divine and I like using an oil on days when my skin needs that plumping feeling the next morning. I only use 1-2 drops of this since I can break out as I've never used pure oil on my face before. It helps hydrate and balance your skin and well as reducing signs of ageing. It also claims to help with discolouration which I haven't seen the effects of yet but I am thinking I should probably use this on my body which may help with my stretch marks. I reach for this regularly but it seems that I've barely used the product since you only need a little. This is £9 for 30ml and if I end up finishing the bottle I will be repurchasing considering I got through my Elizabeth Arden Facial Oil and The Body Shop Serum in Oil wickedly fast. This is suitable for vegans, is cruelty-free, silicone free, nut-free, water-free, alcohol-free and stored in a UV protected bottle. Overall I am really impressed by the brand, I had to hold myself back since I kept adding more and more products to my cart since they are so affordable (but it does add up) I only have one face and I can't test out so many skincare items all at once. Without question I will repurchase these items again and again because I have seen positive results, it does take time for you to notice some of the effects and my skin has never looked plumper and healthier. I do want to try more of their products in the future such as their High-adherence silicone primer but I'm on a spending ban. I purchased all these of Asos since I had next day delivery and if you can't wait to try these out try Asos since it's most likely in stock. Also, I am not sponsored by Asos or The Ordinary (I wish, though), I'm just a huge skincare junkie that tests everything! I'm glad to hear that I'm not the only one that finds it all overwhelming at first glance! Thanks for sharing your experiences with this! Thanks for the review! I am loving their stuff too. Would recommend the Vitamin C serum as well. I've been intrigued by these products but not purchased as yet...will def look into them now! I've just started using the Hyaluronic Acid as I am hoping it will replace my much loved Hydraluron which is much more expensive. Lovely post. I love Rosehip oil, so will check this one out. Quite surprised about the price!